The community property laws apply if you and your spouse are owners of a business anywhere in Arizona and determining the value of that business will be crucial to your divorce settlement. 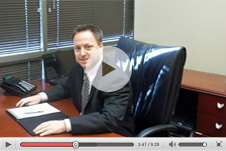 Calling on the right Scottsdale divorce attorney will be a vital choice. Negotiations may be particularly sensitive if you are having a high asset divorce but, regardless of the financial stakes involved, an experienced divorce lawyer can minimize your risks of an unfair settlement and help ensure your financial security. When you call the Belt Law Firm, you will have the opportunity to speak directly to John C. Belt: graduate of the United States Air Force Academy and Scottsdale family lawyer for nearly two decades. 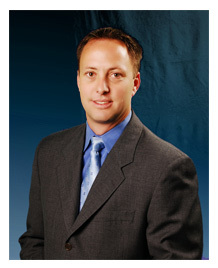 He has helped numerous business owners negotiate their divorces throughout the Northeast Valley. No matter the complexity of your case, he has the resources to defend your best interests and help you achieve your goals. Call 480-837-3600. The business was owned by one spouse before the marriage: is it community property? Marital assets are invested into the business: how do those figure into asset division? One partner was far more active in the daily business: does this influence division? Who will determine the value of the business—property worth, market value, tax burden, debt, overhead, payroll, and other factors? Can a spouse force the sale of the business as conditions of the divorce? No business owner divorce is identical. For the guidance you need in your particular case and for any family law question, contact the Belt Law Firm. You will have direct access to Scottsdale divorce attorney, John C. Belt and he will immediately begin formulating a legal strategy that fits your needs.